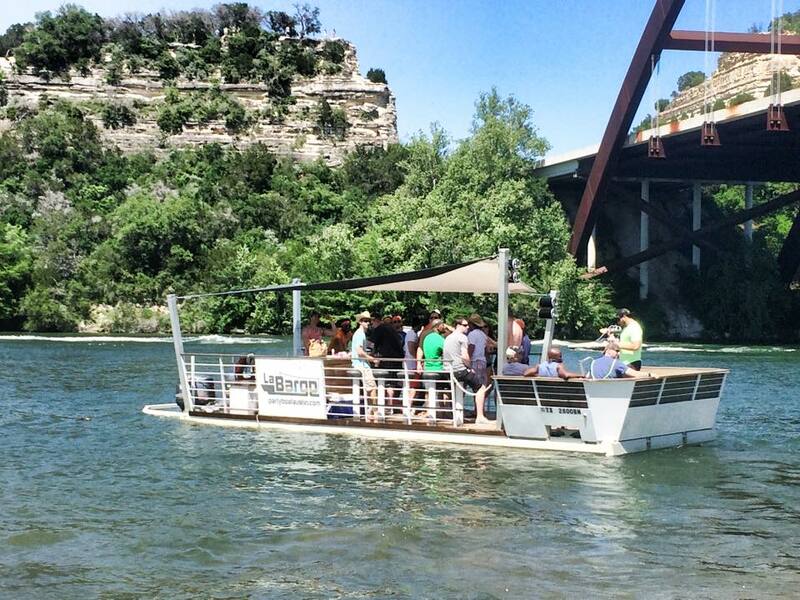 La Barge is the Premier Chartered Party Boat on Lake Austin! This high-end, contemporary party barge is furnished for a great time with over 300 square feet of deck space & can comfortably accommodate more than 25 guests with plenty of space for anything you may need to bring on board. La Barge is equipped with everything you’ll need for a good time including a boat captain, bar area with stools, stereo with auxiliary connection & bench seating for guests of any age. Bring your sunscreen or tanning oil & prepare yourself for a great time on Lake Austin! *Please discuss any special accommodations such as catering & ice chests when making your reservation.